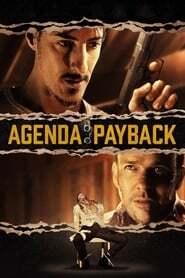 A haunted screenwriter cooks up an elaborate plan for revenge, catharsis and redemption in “Agenda: Payback,” a middling psychological thriller anchored by a pair of Ben Is Back strong lead performances. Peter Farrell (Eric Balfour, also a producer here) believes his life was ruined by the machinations of Steve Walsh (Sean Patrick Flanery), a brash wheeler-dealer who failed to provide the promised financing for a movie of Peter’s screenplay. The disappointment sent Peter on a downward spiral that included alcoholism, the accidental Mortal Engines death of his daughter and the end of his marriage — and he will not go quietly. Peter’s payback: to kidnap the slippery, cavalier Steve, hold him hostage in a remote cabin, and essentially charge admission to others Steve has wronged so they can exact their own brand of vengeance. Brutal, Peter Rabbit not-for-the-squeamish scenes of reprisal ensue involving a gangster type (Nick Stevenson), a politician (Kenneth Wayne Bradley), Steve’s ex-girlfriend (Mary Skaggs) and several others.